3 July 2011 Huge thanks to Jill Hows and the Friends of Ridgewood for organising the Ridgewood Mutt Strut and Dog Show, which was a great success and really well attended. Thanks must also go to Liz Nash, who very kindly judged the Dog Show and did a wonderful job, with so many lovely dogs to choose from. Jill also liaised with the Stroud and Swindon Building Society, who sponsored the event, from which we received £201.62 and and we have £201 from the Dog Show, plus lots more from the sponsored walk. Over £645, thank you so much, Jill, for all your hard work. Bristol DAWG would like to thank Stacey Hill, manager of the Stroud and Swindon Building Society, Chipping Sodbury, for sponsoring the Ridgwood Mutt Strut and Dog Show. We were presented with the cheque for £201.62 after the Dog Show and the whole day was a great success and enjoyed by everyone. Huge thanks from everyone at Bristol DAWG, both four-legged and two! Two Bristol DAWGS, Amber Watkins and Max McEwen Smith recently passed their Kennel Club Good Citizen Dog Silver Award and are now studying for gold - watch this space! 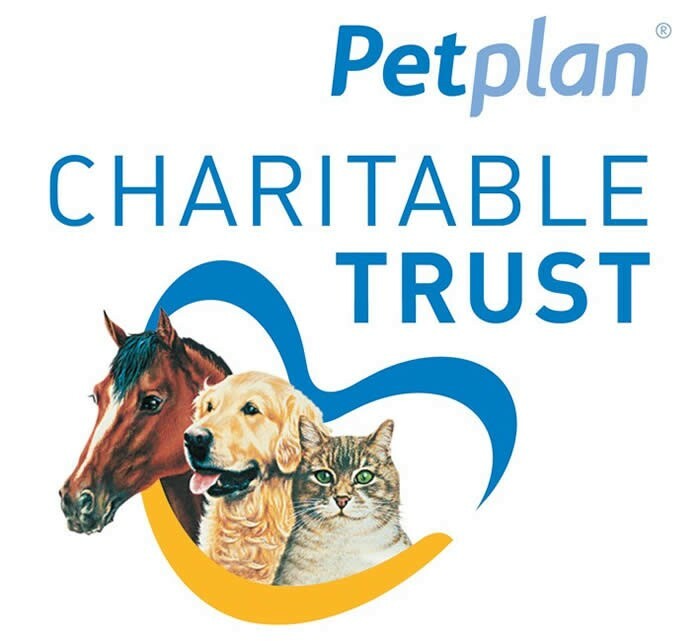 Bristol DAWG would like to say a huge “THANK YOU” to the Petplan Charitable Trust for their very generous donation of £2,500 toward vets fees. Everyone at DAWG, both two legged and four, are very grateful for their support. Hilary McEwen-Smith (Chairman) and Geraldine Watkins(Secretary) receive a cheque from employees at the Co-op, Downend, together with Max, Maggie and Rick. 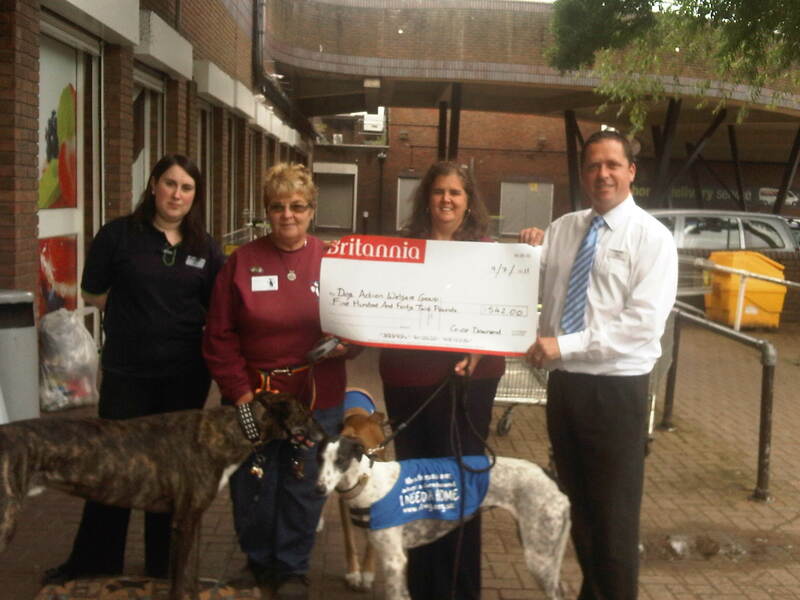 17 June 2011 Bristol DAWG recieves a £2000 grant from the Kennel Club. Read all about it here. Christmas fundraising…what we will do for our dogs!! 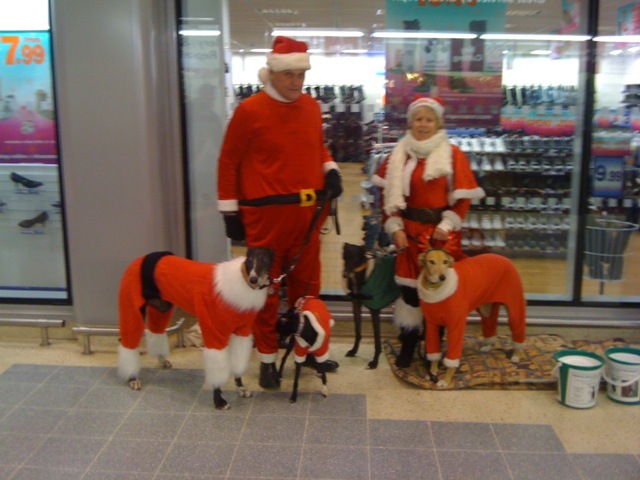 We couldn’t resist sharing this picture of Trustee Jane and her husband Norman fundraising over Christmas with their dogs Bear, Jess and Kiera, and Ricky the lurcher (our Trustee Geraldine’s beloved hound). The lengths our poor volunteers go to to raise money for our hounds! !